Bentley Motorcars is a brand associated with timeless luxury and everlasting elegance, so it should come as no surprise that the Queen of England, Queen Elizabeth II, prefers to be chariot-ed around in none other than a Bentley. Founded in 1919 by W.O. Bentley, this British manufacturer committed from the start to produce the absolute best–hand-built and crafted with the finest materials and brightest minds. Such a standard of craftsmanship would suggest that it qualifies as suitable for one of the most royal bums in the world to nest in when traveling. We agree…and so does the Queen. The Bentley State Limousine was created on the occasion of her Golden Jubilee in 2002, and is an official state car used primarily for official engagements, surrounded, of course, by her Royal Protection Squad. 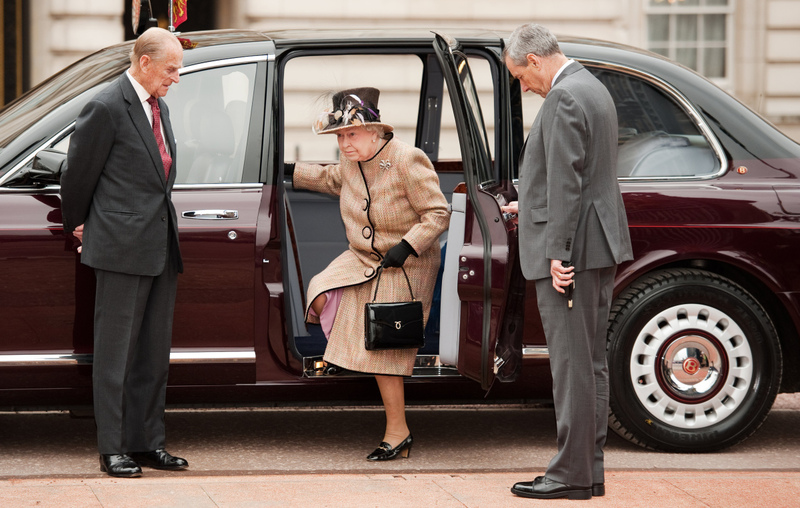 The Limousine is also used by the Queen to go to and from church when at Balmoral Castle and Sandringham House. The State Limousines twin-turbocharged 6.75L V8 engine produces 400 horsepower and 616 lb-ft of torque, with a maximum speed of 130 miles per hour. The vehicle is longer than the Bentley Arnage, equipped with vast coach doors opening to almost a 90-degree angle, and opaque panels optional for more privacy, or removed for visibility of the passengers. The body work and glass is bullet-resistant and the cabin can be sealed in case of any sort of gas attack for the protection and safety of the passengers as well. 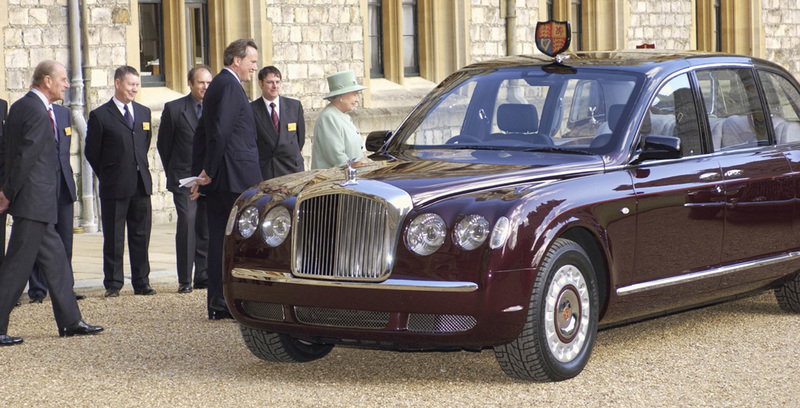 Like all British State cars, the limousine has a mount for a crest and pennant, which either feature the British Standard or visiting States; and when Her Majesty is on board, her personal mascot of Saint George replaces the typical Bentley Flying B. The bodywork was built by Bentley’s Mulliner coachbuilding division; and British textile manufacturer, Hield Brothers, produced the lambswool sateen cloth used for the upholstery of the rear seats. Needless to say, if there was any brand capable of producing a coach of such magnificence fit for royalty, Bentley Motorcars shoots straight to the top of the list.